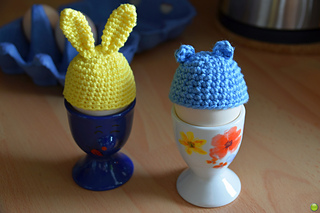 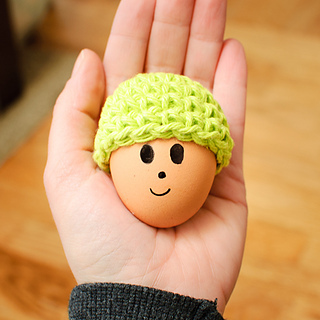 This Easter egg cozy crochet pattern is a super cute way to show off your Easter eggs. 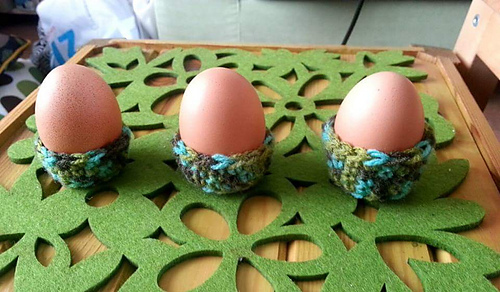 They work up so quickly that you can easily make a bunch. 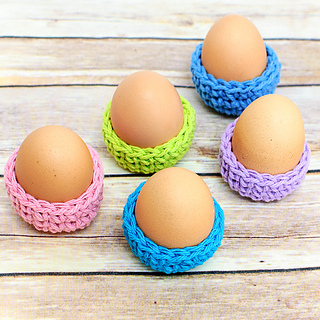 And since you only need a small amount of yarn per cozy, they make a great scrapbuster project too! 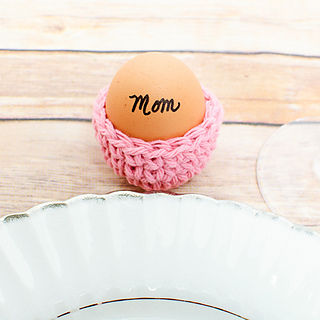 My favorite thing to do is use them as place setting markers for my Easter table. 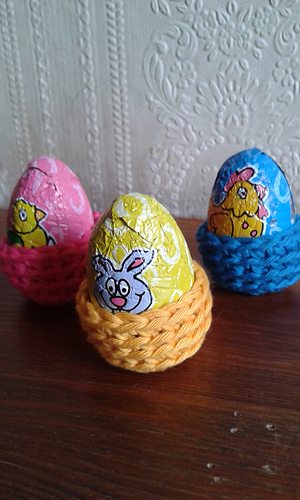 Such a pretty and colorful Spring touch!